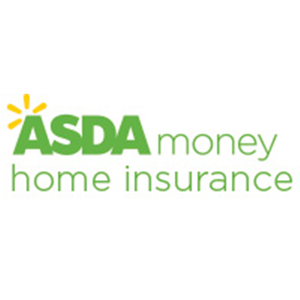 Find out if NFU Home Insurance made it into our list of the Top 10 Home Insurance Providers. What types of home insurance does NFU offer? What optional extras are available from NFU home insurance? How much does NFU home insurance cost? Are discounts available for NFU home insurance? How to make a claim on NFU home insurance? NFU is a mutual, so it is owned by its member. Its services are designed for members of the farming community. To get a quote you'll need to be a member and visit one of its branches. NFU’s home insurance falls under their Home and Lifestyle insurance category. 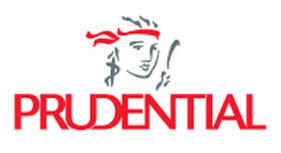 The main two components of their home insurance are Contents insurance and Buildings insurance. Content insurance includes £7,500 single item limit, £2,500 for money in the home, £1,000 for loss of keys (unlimited cover for theft of keys), £5,000 for contents in the open, £5,000 for theft from outbuildings, £2,500 for loss of water, £15,000 for business equipment, £7,500 for student belongings, £2,500,000 for personal liability, alternative accommodation cover, tech and entertainment equipment accidental damage and legal expenses cover. No excess applies to claims, except for accidental damage, where an excess fee of £25 is applicable. 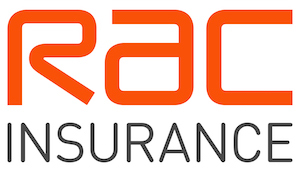 Buildings insurance includes cover for loss of rent, alternative accommodation, glass breakage, blockage of sewer pipes, £10,000 for trace and access, burst pipes cover, subsidence cover, emergency access cover for both buildings and garden, £1,000 for loss of keys (unlimited cover for theft of keys), £2,500,000 for public liability and legal expenses cover. An excess of £50 applies to claims. The two policies above can be combined to offer full, comprehensive cover, and optional extras can be added to tailor the cover to the individual’s need (see below for details). NFU also offers specialist home insurance cover for high-value homes, thatched homes and listed buildings. NFU members receive access to free legal expense insurance from DAS Legal Expenses Insurance Company Ltd.
See how NFU compares to other providers in our list of the Best Home Insurance Companies. For an extra premium, NFU home insurance customers can add Accidental Damage cover to both their contents and buildings insurance, as well as Personal Possessions cover (covers your items away from your home). Existing home insurance customers can also take out Travel, Caravan, Pet and working from home insurance through NFU. How much does Home Insurance from NFU cost? The cost of home insurance varies according to various factors, like the type of property covered, the location of the property, the level of cover required, the items kept in the property and the home owner’s personal details. We couldn’t find any cashback deals for NFU Mutual insurance or any discounts on third party sites. However, NFU offers its own discount scheme called Mutual Bonus. As part of this scheme, customers get a discount of 3.5% on the first year of renewal of an existing policy, 4.5% on the second and third years of renewal, 5.5% on the fourth year and 8.5% on the fifth year. NFU also offer a discount for taking out a combined Contents and Buildings policy, as well a No Claims discount. Farmers and growers who take out insurance with NFU are eligible for NFU Mutual Advantage scheme, which entitles them to benefits including a 10% discount for a 3-year commitment or 15% for a 5-year commitment and no excess to pay after 12 months without a claim. Fairer Finance rated NFU Mutual’s combined Buildings and Contents Insurance as 4 out 5 stars, its Buildings only cover as 3 out of 5 stars and its Contents only cover as 5 out of 5 stars. The service received 65% for customer satisfaction, placing it in 4th place out of 47 providers reviewed by Fairer Finance. Independent financial researcher Defaqto rated both NFU’s Buildings and Contents insurance policies as 5 Star. A 5 Star rated policy has “an excellent product with a comprehensive range of features. Call your local Agency: lines are open 9am-5pm, Monday to Friday. 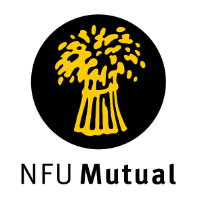 You can find your local branch on the NFU Mutual website. In an event of an emergency in your home, call NFU’s 24hr Domestic Emergency Helpline on 0800 282652. NFU defines an emergency situation as one which creates a health risk for you or your household, creates a risk of damage to your property or creates unacceptable living conditions. To make a claim on legal expenses insurance, call the DAS helpline on 0117 934 0573. Their claims office is open 9am – 5pm, Monday to Friday and the helpline is open 24/7. As well as home insurance, NFU also offers motor, equine, life, business and farming insurance. Additionally, the company offers financial advice about pensions, investments, business and farming. "We were kept well informed of the progress of the claim by text and when we needed to call the phones were answered quickly by very polit..."
Check out our guide to the Best Home Insurance Companies.